"You’ll have to forgive me for droning on about these ties. The unique-to-Tyrwhitt designs are crafted from 34,000 threads of the finest seven-ply silk, right here in our native Suffolk. I suggest reserving them for the most splendid of occasions." 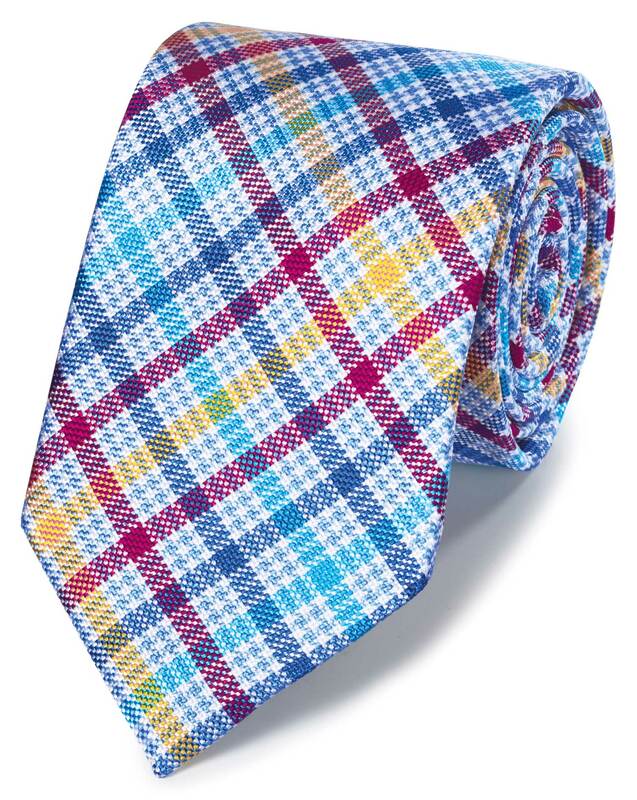 Ties are more classic width — much wider than a modern, slimmer style. I’m not looking for skinny ties but these are definitely more of a classic width vs modern. Fabric is great. Response from Charles Tyrwhitt: Thank you for sharing your comments regarding the ties from your order. At Charles Tyrwhitt, we offer both a classic width tie measuring at 8cm to fall in line with a traditional cut of a tie. We do offer a slimmer tie which measures 6.5cm in width which can be considered to be more modern. Great color and they tie great.